I found a few link to this issue but they all refer to opening a Visual Studio 2005 project in 2008. Since I couldn’t find an answer pertaining to VS 2010, I decided to use the solutions that I found for 2008. All the solution I found mention running this command “devenv.exe /resetskippkgs”. So I open the Command Prompt and navigated to “C:Program Files (x86)Microsoft Visual Studio 10.0Common7IDE” and ran “devenv.exe /resetskippkgs”. This seem to fix the issue. 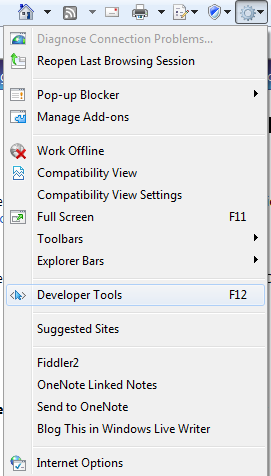 Visual Studio 2010 started and I receive the usual notification when opening a 2008 project in 2010. 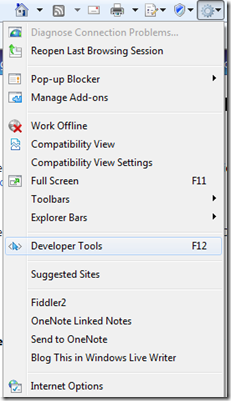 I still have problems in all addition attempts to load 2008 project in Visual Studio 2010, I still need to go through this same process. 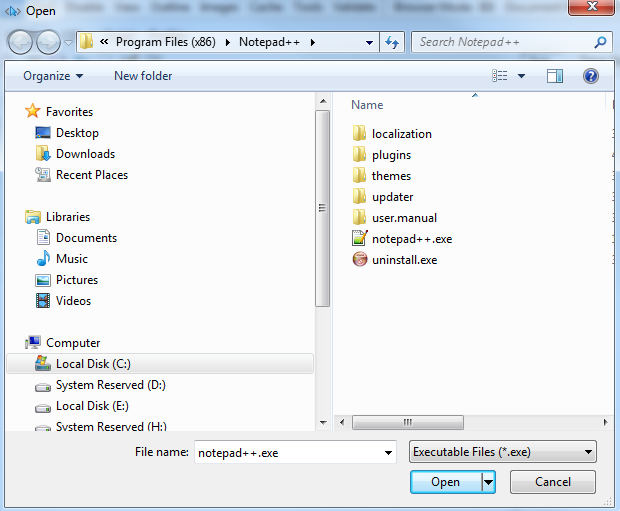 It seems that I’ve used Windows and the Command Prompt (Console) for ever and I never new of this feature. Every time I wanted to copy or paste from the Command Prompt I had to right click and select “mark” or “paste” in the the window or click and bring up the menu. It’s not that big of a deal, but saving 2 clicks or keystrokes adds up in 10 years. I’ve must have wasted at least 30 minutes. 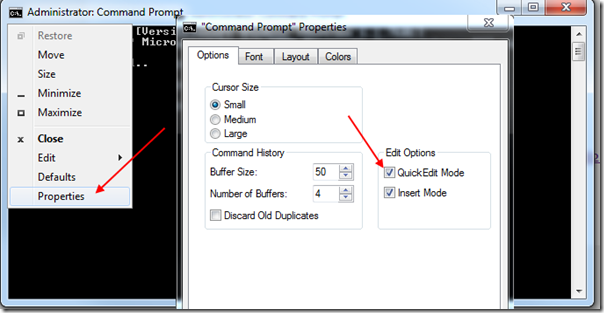 Here are my steps to set Quick Edit Mode as the default for the Command Prompt. I know the following steps work for Windows XP and Windows 7. 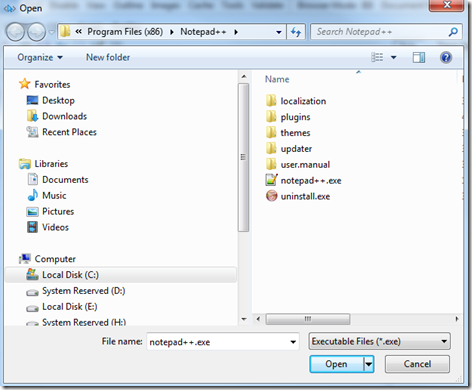 The following screen show how to change the options for Command Prompt that is currently open. When you close the Command Prompt this option is not saved, so the next time you open the Command Prompt this option will need to be reset. 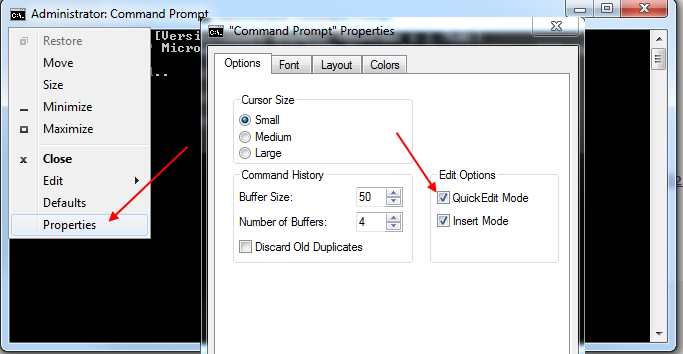 The following image shows how to change the default configuration so that Quick Edit Mode is enabled by default.